Join us for the largest social function of the year! 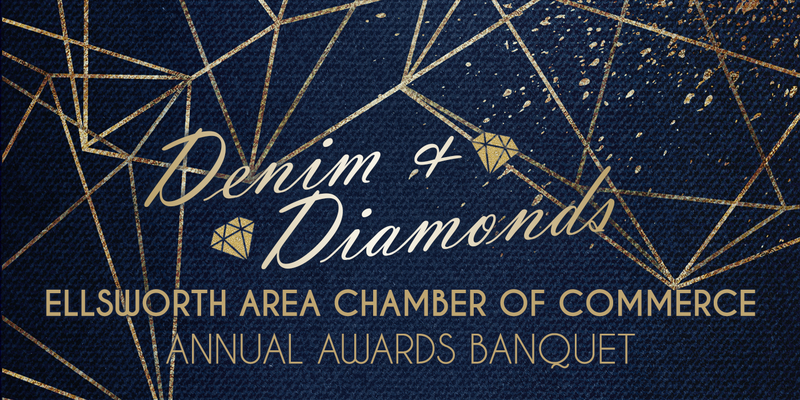 Members are invited to attend the Annual Awards Banquet, an evening of entertainment and mingling with your chamber friends. Sit down dinner is served and several businesses and individuals will be recognized with awards for their service and accomplishments. The fancy Dessert Auction is back again with eight gorgeous cakes and/or desserts for you (or partner up with another colleague or company to increase your bidding power) to win at the auction and enjoy for dessert! And everyone's a winner during our "Wine/Beer Pull". With each $15 chance you receive a wine, beer, or liquor selection valued between $10 and $50! You can't lose! Be sure to dress the part! $40.00 per plate ~ Guests welcome! Choice of Entree: Dinners include Side Salad with dressing, Parsley Buttered Baby Red Potatoes, Seasonal Vegetable Medley, and warm dinner roll and butter. Champagne Chicken: Chicken breast lightly dusted with seasoned flour and pan fried to a golden brown, covered with a sweet and creamy champagne sauce. Sliced Beef: Tender sliced beef smothered in homemade beef gravy. Don’t forget to nominate for Small Business of The Year, Large Business of The Year, Community Leader of the Year. And vote for the Best of 2019 Awards!